1. A floral maxi with a V-neck and empire waistline for a breezy weekend look. 2. A button-down shirt dress so versatile, it can take you from the office straight to happy hour — all while looking great. 3. A formal chiffon dress, because sometimes you want a black dress with just a splash of color. 4. A long sleeve dress with a floral print to help your spring wardrobe blossom to its truest potential. 5. A lightweight floral dress that'll be a welcome addition to your closet. 6. A sleeveless knit dress to layer with a jacket and scarf on chillier spring days. Did I mention it has pockets??? 7. A cap-sleeved shift dress made of soft jersey material for a comfy yet stylish dress that'll become your go-to on date night. 8. A button-down shirt dress to rock with heels when out on the town, or with flats during a day out running errands. 9. 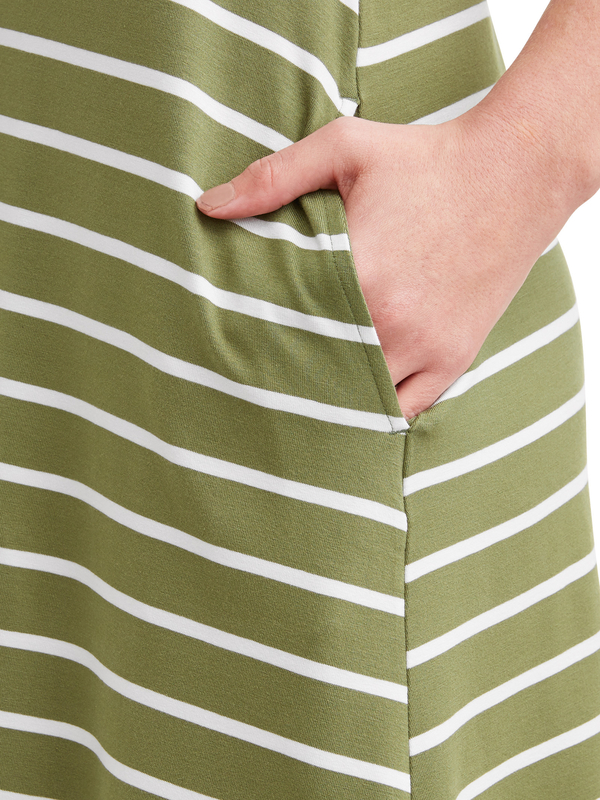 A spaghetti strap midi dress with pockets that'll brighten your day. 10. A ruched sleeve dress with a floral print and flowy fabric so you can easily find your new favorite spring dress. 11. A cutout lace dress, because a cute little black dress is a closet must-have. 12. An off-the-shoulder lace dress for a vintage look that'll have everyone asking where you got it. This dress is available with short, 3/4, and long sleeves. 13. 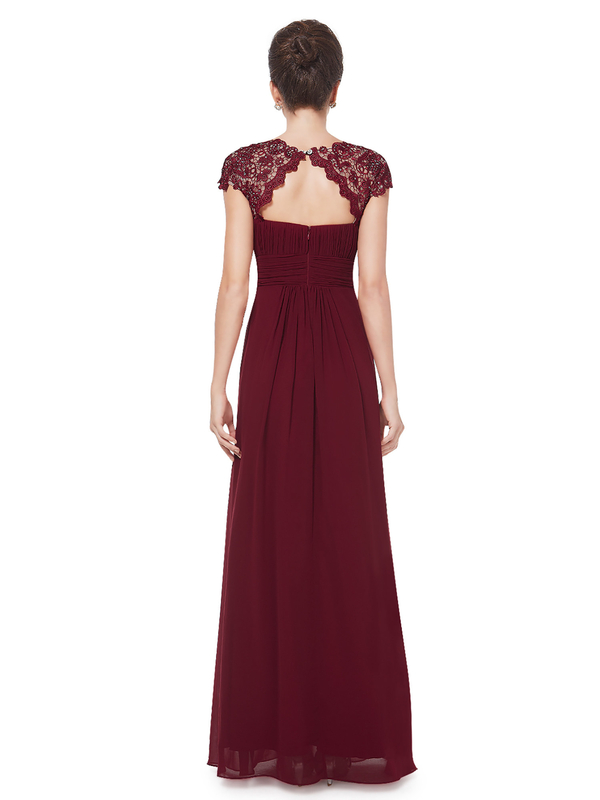 An A-line floor-length dress with a sewn-in bra and key-hole back design so you can be sure to turn heads at the next wedding you attend. 14. A shift dress (hello, POCKETS) to wear to the office or to a casual night out with friends. 15. 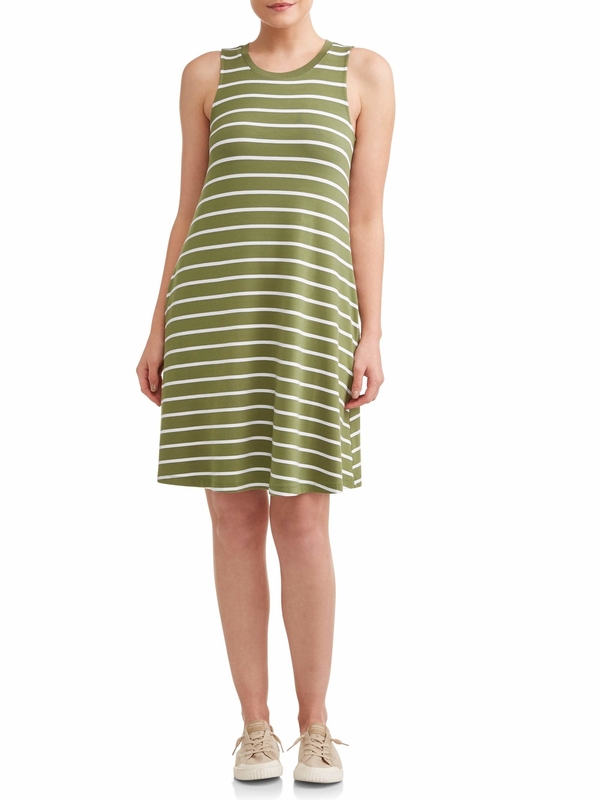 A striped jersey knit dress that'll seamlessly work its way into your summer wardrobe. 16. A floral T-shirt dress so you can put the ~petal~ to the metal when worn with a leather jacket. 17. A 3/4 sleeve dress, because it'll be great for when it's not too cold, not too hot, but juuuust the right temp outside. 18. A vintage cocktail dress for a classy look that you can move freely in. 19. A V-neck maxi dress that'll be stretchy, beautiful, *and* will trick anyone into thinking you paid waaaaay more than you actually did. 20. A chiffon dress with flutter sleeves so you can look regal without going broke.